(Chicken Exploitation - Debeaked - 02) This is a close up view of a young hen who has had about 1/2 of her beak removed. Such excessive debeaking can cause life-long pain. Stop the torture! Stop eating eggs! 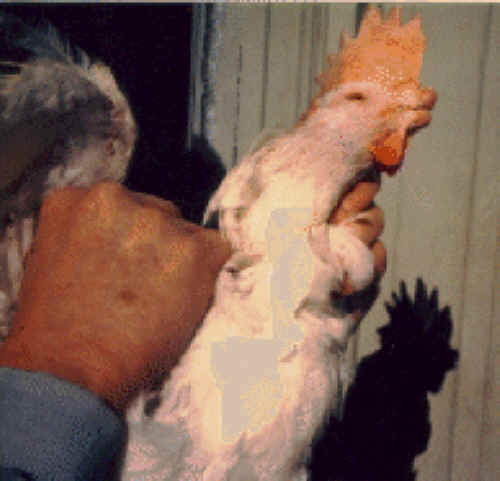 Photo from: United Poultry Concerns, Inc.